No that is not a typo. I know what your thinking, that doesn’t make sense. A no recipe recipe, but sometimes I just throw things together not really writing down the exact recipe. It will just give you an idea of what combos to throw together to achieve the finished products. One of the things I love about cooking is that you can add a little of this, a little of that and taylor it to your liking. So I present to you, the first no recipe recipe. To make buffalo sauce, combine butter (about a tbs), hot sauce, a couple squirts of sriracha, lime juice, garlic, and cilantro. 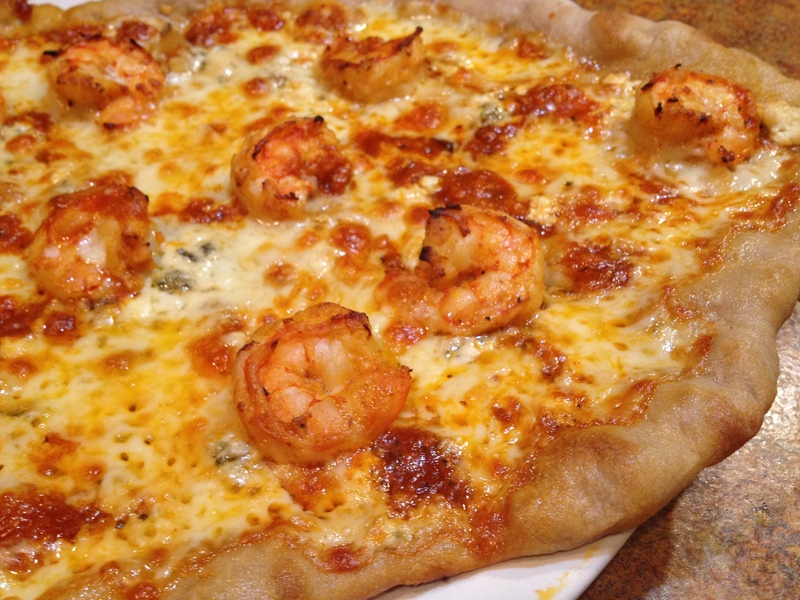 You will need to make enough sauce to marinade shrimp and to also drizzle on top of the pizza. 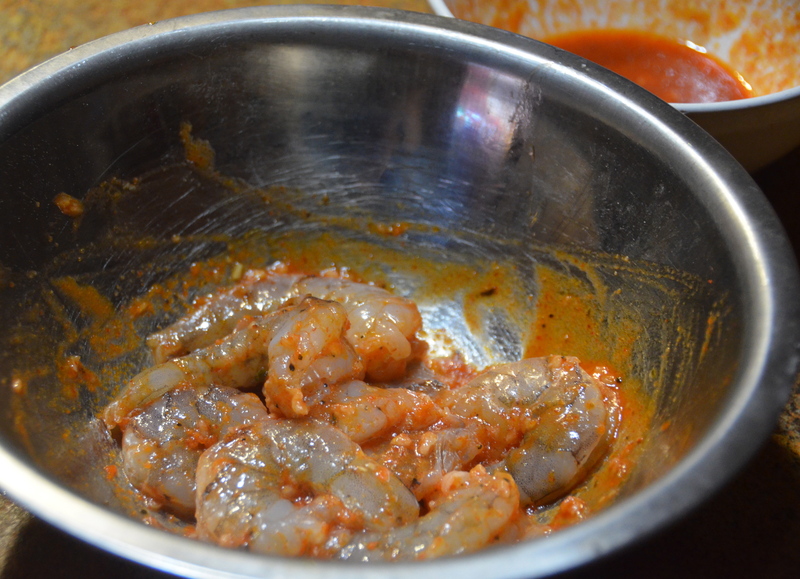 Add about half of the buffalo sauce to the shrimp and let marinade 10 minutes. After the shrimp are done marinating, add a little olive oil to a pan and cook shrimp until they are just about done. They will finish cooking in the oven. 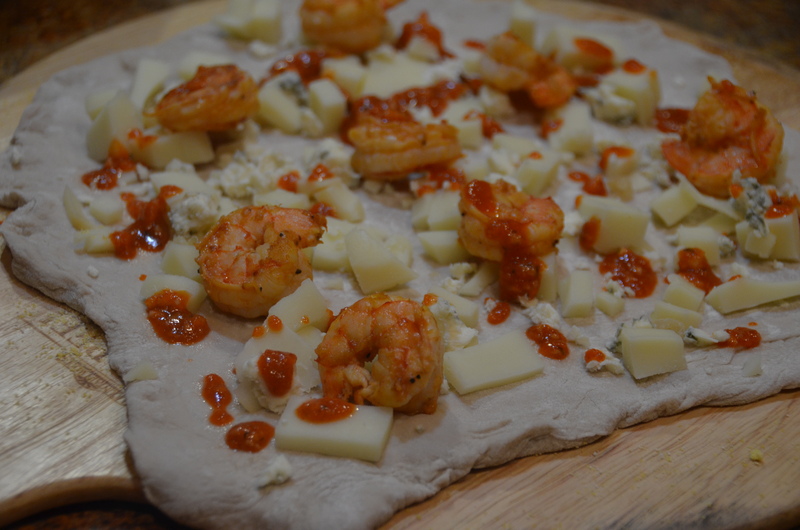 To assemble pizza, add mozzarella, smoked blue cheese, shrimp and drizzle with remaining buffalo sauce. Bake pizza on a preheated pizza stone at 500 degrees until hot and bubbly. Slice and enjoy! I’m with you, I tailor recipes to my taste all the time. Unless I’m baking, I don’t really measure anything. This looks delicious!!! Can’t wait to try it out! !